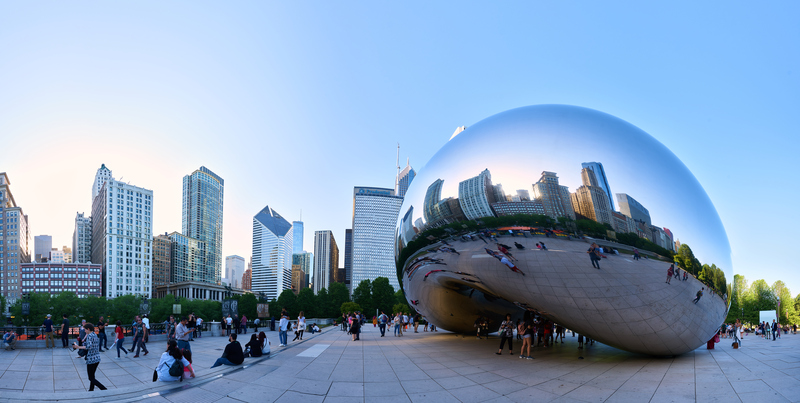 Once you’ve got the pronunciation down, here’s what you need to know about the windy city. Like most large urban areas, it is important to familiarize yourself with the city, its neighborhoods, transportation methods, and local laws & customs. By US Standards, Chicago has a well-connected transportation system consisting of a metro (locally referred to as “the L”) and buses. Chicago does have some issues with crime; however, most crime is localized in a small number of specific neighborhoods with the rest of the city being reasonably safe. To help make your summer as safe and incident-free as possible, these are just a few things to keep in mind – (1) if an area feels unsafe, it probably is and should be avoided, (2) avoid shortcuts where you do not know where you are going, (3) stay in well-lit and populated areas, especially at night time, (4) try as best that you can to travel and go out at night in groups, (5) leave information for an emergency contact with a friend and keep a copy of your essential documents safe at home. Chicago is a city that enjoys all four seasons, and as a result, there is plenty of seasonal summer work to be found. Summer J1 students usually find work through hospitality companies, bars, restaurants, theme parks, and more. There are a lot of resources available that can assist students finding employment including your sponsoring agency, Irish Community Services, local community members, and staffing agencies. Temporary accommodation can be difficult to come by in Chicago. It’s worth seeking a sub-lease or registering through a reputable J1 accommodation agency to help with your search. Do try to view a place / meet the landlord in person before you make a down payment on accommodation – better safe than sorry! If you run into any trouble or you need a bit of help while you’re in Chicago, Irish Community Services & the Irish Consulate in Chicago are available to provide on the ground assistance. If you find yourself in an emergency situation while in Chicago, 911 is the contact number for emergency services. Do bring at least $1500 with you – this money will be essential to sustain your stay until you find more long term accommodation. Do check your email regularly and promptly reply to correspondence with your sponsor. You MUST also check in with SEVIS every 30 days as failure to do so may result in the cancellation of your visa. Do respect your accommodation and obey the local laws. Don’t travel outside of the United States without notifying your sponsor. Don’t overstay your visa or work while on the visa waiver program. Do have a good time! Many thanks to Irish Community Services – Midwest in Chicago for this special #3thingstoknow feature.